Crytek has an enormous amount of talent available to them, and have been able to create some very outstanding games and game engines in the past. But now they seem to want to break into the VR world as well. Last year at the GDC they showcased both Crysis 3 and Ryse: Sone of Rome running on the Oculus Rift. But since last year’s demonstration of their own games and game engines working with VR, they’ve been very silent as to what they are planning next. They’ve apparently told VRFocus that something completely new will be featured this year. Crytek has now announced that they are working on their own VR experience to demo with the Oculus Rift at the 2015 GDC. No actual concrete details were mentioned aside from the fact that this will most definitely not be last year’s VR demo and should be able to wow consumers even more than last year. The extreme realism of Crytek’s CryEngine 3 should allow for a very immersive experience already, so what they have in store for the future of VR is a bit of a mystery, though they are obviously very talented. At last year’s GDC, for instance, their demo was able to run on the Oculus Rift DK2 at 100 fps. Using Crytek’s engine in VR isn’t necessarily new by any means. If you happen to be a lucky owner of one of the Oculus development kits, you can look either for the open source injection driver that can enable stereoscopic gameplay in games not originally made for it, or you can purchase the vorpX driver from Animation Labs that has even more support for games than the open source driver. These, of course, don’t promise any sort of actual compatibility outside of what they’ve tested because of their “unofficial” nature, but many games can be played with VR headsets, including Crysis 3. Looming rumors of bankruptcy some time ago, which were promptly shot down, have not stopped Crytek from making headway into the market as they have in the past. In addition to the new PC based VR experience they will have on offer at GDC this year, they apparently will be showcasing a mobile version of their CryEngine for use on Android, and possibly even iOS at a later date. This is their first break into the mobile scene, and any potential games on this new engine that Crytek is working on are yet to be seen or even heard of. 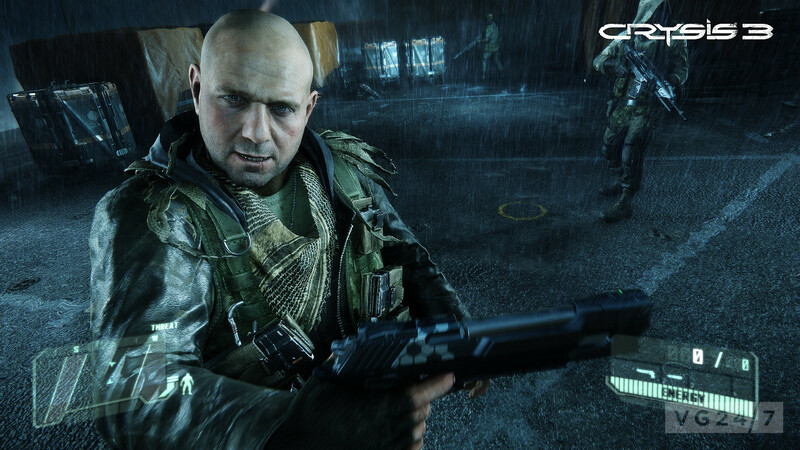 Maybe Crysis or Crysis 2 will make their way over to mobile? I also wonder what plans they have for mobile VR solutions like the Samsung Gear VR. Very exciting news for those that are VR heads or are looking for the future of VR.